How is a genetic test for epilepsy performed? A genetic test for epilepsy involves a blood or saliva sample ordered by your physician. The clinical laboratory extracts your child’s DNA (genetic material) from the sample. This will then be analyzed by searching for changes or variants in the 100 or so genes that are known to be associated with epilepsy. When the analysis is complete, we will send your physician the results to discuss them with you, or alternatively see you in our clinic. Why is it helpful to carry out a genetic test for epilepsy? Identifying the genetic cause of your child’s epilepsy can be useful for a number of reasons. For example, this knowledge often helps with treatment decisions, tells us about prognosis, may reduce the amount of other investigations, and provide additional information for family members regarding their probability of developing epilepsy. Confirms your child’s diagnosis of a particular kind of epilepsy, especially if the original diagnosis is not apparent on the basis of EEG findings or symptoms. Facilitates decisions regarding the treatment of your child’s epilepsy. Provides an understanding of the associated health issues or neurological conditions that your child may experience in the future. Clarifies the long-term prognosis for your child’s epilepsy. Identifies the likelihood that other family members are be at risk of developing epilepsy or having a child with epilepsy. Who should undergo genetic testing for epilepsy? Not every child with a clinical diagnosis of epilepsy should undergo genetic testing. Genetic testing is suitable for anyone with epilepsy that is suspected to be genetically caused. Genetic epilepsies can present with generalized, focal, and even multiple seizure types. A majority of genetically linked epilepsies begin in infancy, childhood, or adolescence. The probability that your child’s epilepsy is caused by a genetic mutation also rises if multiple family members have similar seizures or symptoms. Nonetheless, children with no family history of epilepsy may also have a disease-causing mutation in a gene associated with epilepsy. If our team identifies a genetic mutation in a child with epilepsy, then we might recommend additional family members consider testing, even if they do not have epilepsy. How long does a genetic test take to complete? In general, it takes 4-8 weeks to complete genetic testing for epilepsy. This includes the time that our lab receives the blood or saliva sample to the time we send your physician the results. 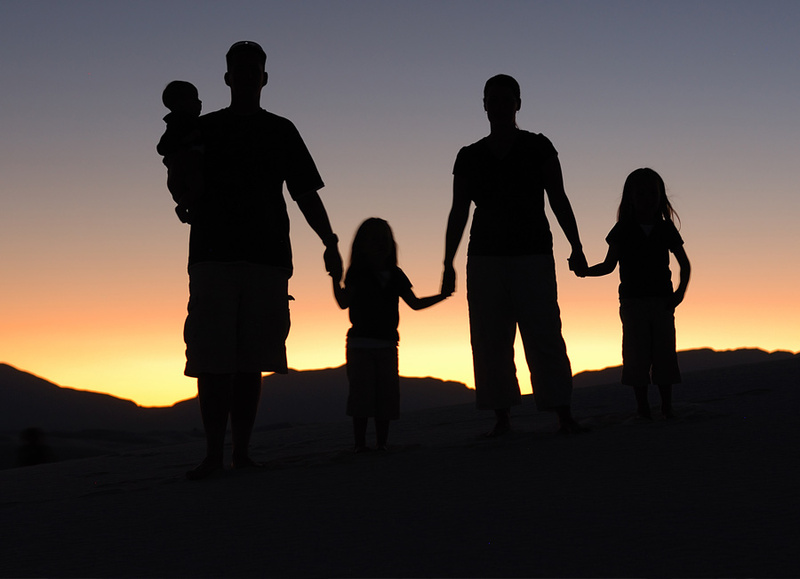 If it is necessary to test additional family members, the results may take longer. What type of test results can I anticipate? Positive: a positive test result means that the genetic analysis has confirmed a mutation (disease-causing change) in a gene linked to epilepsy. This result explains the cause of your child’s epilepsy and can provide useful information to your physician and family members. Information regarding your child’s specific genetic mutation can assist your physician in making a prognosis, as well as helping refine the treatment plan and management of their epilepsy. Next, first-degree relatives (siblings and parents) may be offered genetic testing to clarify their risk of developing epilepsy (assuming they are unaffected). This is called cascade or presymptomatic genetic testing. If a family member is found to be positive for the same mutation, this person may have an increased risk for epilepsy and should be referred for a neurological evaluation. It is entirely possible that the symptoms, age of onset, severity, and response to treatment may vary within families. A thorough analysis of your family history may help conclude whether your child’s epilepsy is hereditary and if other family members should be monitored by their physician. If a family member without epilepsy symptoms is negative for a mutation found in another family member with epilepsy, this result is known as a “true negative.” This means that the family member is not at increased genetic risk for the familial epilepsy and has the same chance of developing epilepsy as any individual in the general population. It is not necessary to monitor the development of seizures in a person with a “true negative” genetic result. Variant of unknown significance (VUS): a VUS test result means that there were inconclusive findings. This can occur when the genetic test shows a change in the DNA sequence, but it is not known. However, it is not definitive if that change causes epilepsy because it has never been observed before, or there is opposing information in the medical literature. In order to interpret the medical significance of the VUS, it may be useful to test family members. In the case that an affected relative shares the variant, it becomes more probable that the variant causes epilepsy. The greater the number of affected family members who have the VUS, and unaffected family members who do not have the VUS, the higher the chance that this VUS causes the epilepsy found in your family. If your child is the only person in your family who has epilepsy, parental testing could determine that the VUS is de novo (arose for the first time in your child and was not passed on from the unaffected parents). Many de novo variants are considered as likely disease-causing. How will I find out about my results? Your physician, or sometimes our team, will discuss the results with you and your child in the context of their treatment plan. If your child has a disease-causing mutation in one of the genes on the epilepsy panel, then other members of the family may be at risk of also having this mutation. In a majority of cases, the family members do not need the full epilepsy panel and can be tested for the specific familial mutation. There are specific pros and cons around having presymptomatic genetic testing that should be explored before going ahead with this. Any relative(s) interested in finding out more should seek a referral to our service, or their local genetics centre if they live far away. If your child does not have a disease-causing mutation in one of the epilepsy genes examined, testing other family members with epilepsy might still be necessary. This is because they may have a different cause for their epilepsy than your child does. Therefore, it is important discuss any genetic test results and their implications with your doctor or genetic counsellor. How does testing of family members differ from full Epilepsy panel testing? The first person with epilepsy in a family to be tested generally requires an examination of all the genes in one or more of the epilepsy panels. After a disease-causing mutation is found in a specific gene, family members are then tested only for that particular mutation. The processing time is greatly reduced when family members get tested for a particular mutation only, rather than the full gene panel. Many types of epilepsy only occur in childhood, often starting and finishing before 16 years of age. Childhood epilepsies include some of the simplest as well as the most difficult seizure types to treat. Quite often, there are effects on a child’s development and behaviour. Therefore, it is important to be aware of this when considering a child’s epilepsy diagnosis. Our epilepsy research is aimed at understanding the basic level of cause and mechanism, as well as the clinical level of symptom management.